If you need a place to meet with clients or to celebrate a family milestone, book the event space at the Country Inn & Suites, Red Wing. 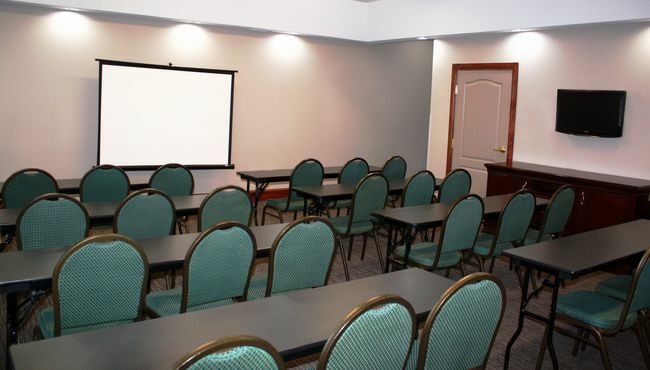 Situated off Highway 61, our hotel offers a convenient gathering point for training seminars and conferences with up to 40 attendees. We are located about five miles from Red Wing Regional Airport (RGK) for out-of-town guests, and we’re within easy reach of area attractions like Treasure Island casino for team-building off-site events. Ask our friendly and professional staff for catering recommendations or for more information about services like free Wi-Fi and audiovisual equipment. Contact the hotel directly for details and rates.